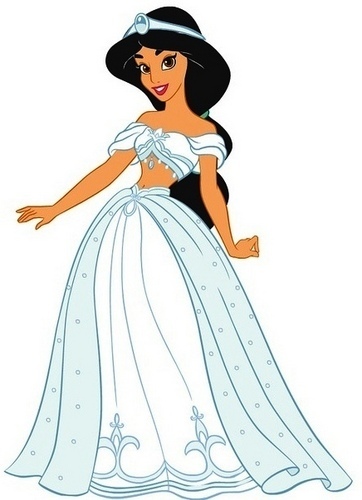 wedding dress. . Wallpaper and background images in the Princess جیسمین, یاسمین club tagged: princess jasmine. This Princess جیسمین, یاسمین photo might contain overskirt, اورسکیرٹ, polonaise, and پالونایسی. جیسمین, یاسمین is so amazing! !